“When do you feel good about anything?” -Lucas. 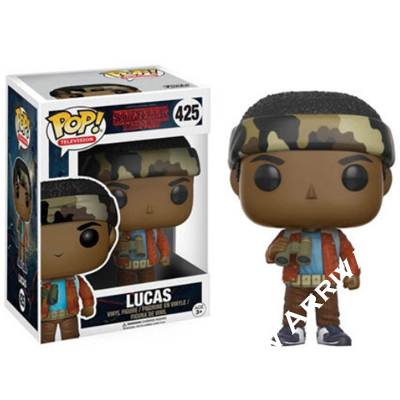 You’ll feel good having this excellent Lucas Pop! figure in your Stranger Things collection, that’s for sure! Lucas is the bravest kid in the bunch. Not just for going after the government goons to save his friend Will, but more importantly, for owning up to his own mistakes and admitting that he was wrong about Eleven, and offering an apology and a handshake like friends do. Complete with his signature camouflage bandana and binoculars, Lucas stands 3 & 3/4″ tall.